The moment when you tell someone what you do, and that big smile creeps across their face. They are actually looking for an engineer, they say, because they have a great idea — no, an incredible idea! One that can make millions! “If we capture only 1% of the market….” Somehow, they find the generosity in their hearts to offer a full 5% of their glorious company for the small task of building it. “Non voting shares, of course.” They truly believe that an idea is all it takes to build a company, but that couldn’t be further from the truth. I asked him some important questions, which seemed to make him uncomfortable. 1 - Do you need to build EVERYTHING from the final product vision to validate your idea? This is the most important question for potential new products. We have the tendency to think that we can’t validate an idea without having all of it done; we spend tons of resources just to see that in the end we’ve wasted our time and money. Entrepreneurs, as a rule, have big visions and dream big. This is not a bad thing; in fact it’s necessary for the long haul. However, you need the ability to narrow your vision to a point where validation is feasible and costs the least amount of both time and money. Another benefit of doing validation on the cheap, is that once we meet some potential customers they can give their feedback and inform product development decisions, which is a golden opportunity. So, this first question in product development is: What is the cheapest and fastest way you can validate this idea in the marketplace? 2 - Do you have the money to build all of it? Because of their lack of knowledge in the field, people tend to believe that a piece of software is cheap. They don’t realize that besides the many team members needed to create a successful product, they also need to pay for other things like servers, email services, SaaS required for the business, and so on. A recurring theory is that if you have an idea, someone is going to put their money behind it. People with no product, no customers, and no background in the industry waste years meeting with VCs and Angels trying to raise money for a product that will never exist. We often say at the Codelitt office, “If you think your idea is worth something, go try to sell it and see what you can get for it”. If you study most of the successful seed stage startup pitch decks, you will notice that most of the time the investment is made into a team, the execution, and in-market validation; the idea is a very small part of an investor’s decision. 3 - How do you plan to enter the market? I once asked a would-be entrepreneur his marketing strategy for an app he was pitching me. The entrepreneur stared at me incredulously and said “The App Store”. For some people, it’s hard to believe that an app doesn’t magically appear in front of end users and on the front page of TechCrunch. Software that isn’t seen by those who need it, isn’t used. It resides somewhere between the 16th page of Google and the entrepreneurs broken heart also called the internet’s blackhole. You must have a plan for distribution. This isn’t Field of Dreams. Yes I have to build the entire vision before launching, because the competitors have very refined products and I am not in a blue ocean. No I don’t have the money (or the skill) to build it, but I can get people to invest. I don’t have an idea how to enter the market yet, but it is going to be worked out as soon as we have the finished product to show to some potential clients. This is completely typical for most people with ideas and a bit of entrepreneurial spirit who haven’t been exposed to startup education and culture that we often take for granted. Now that we know how not to approach the problem of defining and building a product let’s talk about how we should do it. First you need to validate it internally as something that may be worth your time to look into. We do this by fleshing out our idea (actually several ideas) in the Idea Canvas. 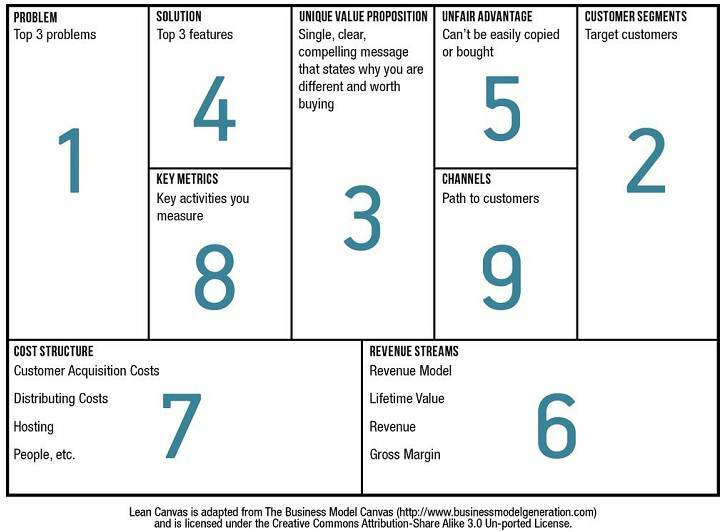 This is a trimmed down version of the Business Model Canvas (shown later in article). 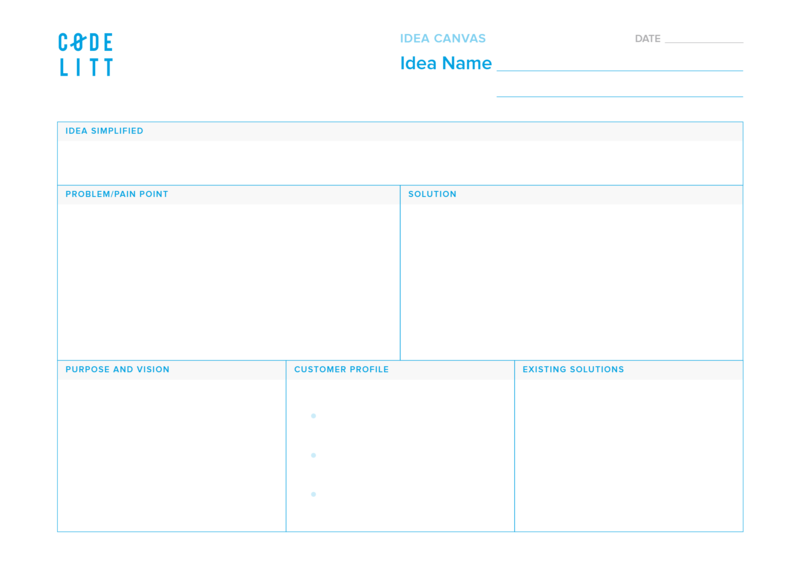 The Idea Canvas gives you a high level view of your idea, and helps get your thoughts around it on paper. Often when starting, we’ll have several of these for various ideas and approaches for the product. If the idea still seems valuable to you after filling out the canvas, then it’s time to flesh things out a bit more and eventually validate it in the market. With this canvas in hand you can define the basic items required for your product’s viability, as well as layout the main obstacles, the revenue streams, and so on. A good book that explains this in detail is Running Lean. At this point you filled out your lean canvas, you’ve defined your customer, revenue streams and so on. You can take your one-pager and conduct Mom Test interview questions which are aimed at determining if people (even your mother) thinks it’s a crap idea. I don’t want to undervalue speaking to potential customers by my comments earlier. This is a critical process to defining success. However, the methodology of how you should go about it is drastically different than what my friend did. There is a huge difference between telling your close friends and family about this genius idea you have and asking REAL potential customers about their current behaviour, about possible solutions, and getting a commitment. Armed with this knowledge, you need to define your MVP. What do these examples have in common? They start minimal and functional. At first, the boat is very minimal and it seems quite insecure. Do you think that someone would climb into that? I wouldn’t. So that product shouldn’t try to enter the market yet. It needs more improvement, which means more investment. Can we call the first one an MVP? No, because it isn’t viable to test your idea. 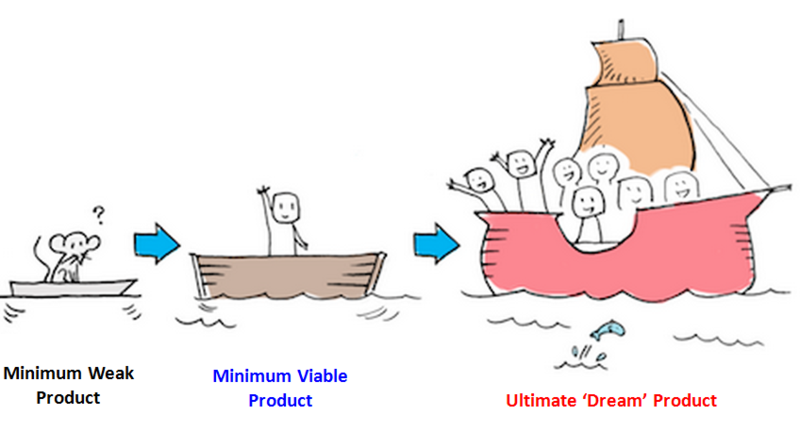 If you can’t test the product with real customers in the market then it isn’t an MVP. This is a common misconception. Just because something is minimal does not mean you can validate your idea with a weak product. The second version is way better. It is not the full vision, but it looks cleaner which may call the user’s attention, it seems safer which builds trust (most users don’t know how to swim). If the problem you’re trying to solve is to cross a river then it is a good candidate. You don’t need to build an entire cruise ship just to have something to get you to the other side of that river. What if your users say that they all get sea sick, or while you are building your cruise ship someone just builds a bridge? Now let’s use a real life example. February 2009 - Can send messages. They focused on the things delivered on their main value proposition instead of creating a full product vision right from the get go. 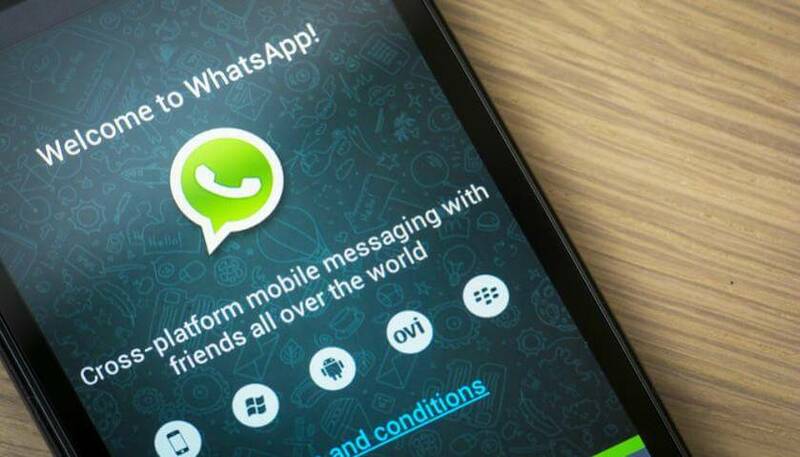 WhatsApp is a messenger, so first it needs to send messages.Everything else is something to add to that main functionality. Most of the time your competitors are going to have your main feature plus some additional ones, so it is not only about getting into the market, but about continually improving to maintain your market share. When you have an idea or are talking to a possible client keep in mind that most of the time you should narrow down an idea to its core. Validate it first with a proper MVP and then iterate as you gather feedback and learn. This is how we define products here at Codelitt. Our goal is never about getting projects to build, but rather to build great, worthwhile, and needed products. You can’t get there without these steps. While many immersed the startup culture my find these steps obvious, newcomers often don’t. Don’t learn the hard way. Follow the steps laid out by the community and you’ll save yourself a lot of heartache.